Honda holds a well-deserved place in the market of utility side-by-sides for all needs. 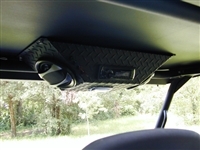 And we have just the right Honda Pioneer aftermarket accessories to prepare your UTV for the comfortable ride. Equip your side-by-side with a one-piece durable aluminum roof that securely mounts on the original overhead bars, add a speaker box with a dome light, and see how the entire experience of riding your vehicle transforms into a joyful adventure. All Honda Pioneer UTV accessories made and offered by WhoMoto have undergone a quality assurance during the manufacturing process and were designed to have an extended lifetime of use. We are expanding our line of accessories for Honda Pioneer, aiming to include more items for compatible models. If you can't find something in our catalog, don't hesitate to get in touch with us, because it's likely that the item you are looking for is already in our design process, and we are ready to accept your custom order! 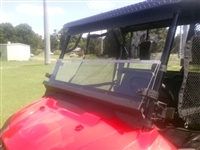 This one piece diamond plate aluminum roof has a built in front, side and rear rain lip. In addition to that, the rear sides have a lowered skirt for even more weather protection. Fully trailerable, leak proof diamond plate aluminum roof for your Honda Pioneer 1000. Easy to install, no cutting or drilling required. This folding windshield comes completely assembled. The top half folds down and locks securely or the entire window removes in seconds for increased airflow through the cab or for trailering or those days when it's just too darn nice to have anything in your way.